Is your Christmas Day a casual or dressed-up affair? Are your summer holidays filled with days on the beach or hours exploring the urban jungle? 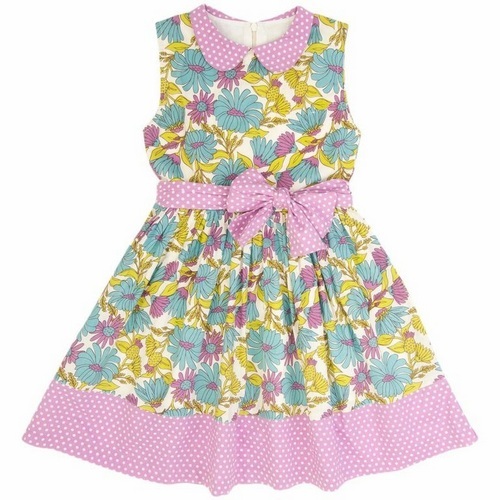 Whatever your summer and festive style, we have lots of fantastic fashion finds for little girls. Pom-pom shorts. They sound divine and they look even better. Sweet Child of Mine have the most gorgeous, incredibly comfortable shorts trimmed with soft cotton pom poms. They’re fun, the floral prints lend a little boho-chic and they’re perfect for hitting the playground this summer. Available in sizes two to eight years, Pom-pom shorts are $30. Christmas calls for a party dress and the kind that little girls dream of can be found at Tutu du Monde. Shimmering sequins, layers of tulle, delicate lace and wispy feathers are combined to create incredible dresses, sparkly shorts, capes and showstopping accessories. Be prepared for the fact that your little girl might never want to take her Tutu du Monde dress off. Ever. Our pick for Christmas is the gorgeous Magnolia dress in festive ruby red. It’s priced at $159. Marimekko know all about flower power! 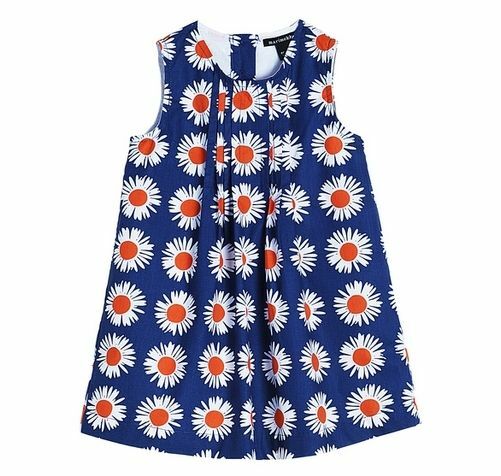 Crisp daisies against a bright blue background make for a fresh Christmas Day frock. $59. It’s pink, it’s summery, it has a butterfly – it ticks all the boxes! From Fox & Finch comes the Lily Dress. It’s comfortable enough for play but fancy enough for special occasions. 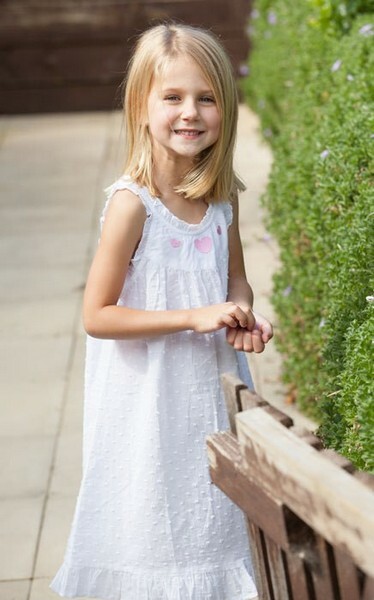 Find the Lily Dress, as well as more from the gorgeous Fox & Finch collection, online at Billy Lids for $42.95. With a silhouette reminiscent of the fifties and a floral print that has a little sixties-retro-charm, the Thistles and Flowers Dress is party-ready. Made of organic cotton, fully lined and completed with a pretty sash, you’ll find the dress at VnC Online for $58. Hit the pool in cute bathers from Alfie and Nina. Honestly, swimwear is my weakness and I figure you can never have enough – which gives me license to go crazy at Alfie and Nina. I particularly love the one piece in orchid with the black-spot trim. It’s $49 and is available in sizes six months to seven years. When you need a little more cover for a long day on the beach, the Little Leaf Rashie from Babes in the Shade is just the ticket. Rashies from Babes in the Shade have long sleeves, a full zip for easy changing, are UPF 50+ and chlorine resistant. They’ve also got style fully covered with fabulous prints and matching hats, bathers and swimmer briefs available. The Little Leaf rashie is $44 and is available in sizes one to twelve years. At the end of your day by the water, dry off and head home wrapped in a Choodie. 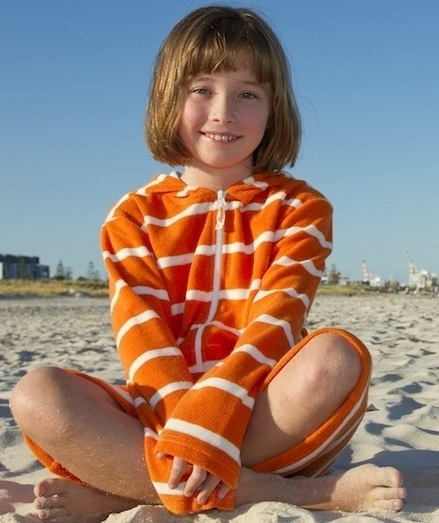 So clever and so practical, the Choodie is a wearable cosy towel – with a hood, sleeves and zip so that beach play is not interrupted. Sized from six months to fourteen years (actually, there’s even Choodies for grown-ups), girls’ Choodies begin at $45 and are available in three colours. Finish Christmas Day snuggled down in the latest pyjamas from Snugglebum. For supreme comfort and super-cuteness, take a peek at the girls short johns. There are pretty florals, fun stripes and cute appliques for summer, all in fresh gelato pastel colours. Snugglebum short johns are sized from newborn to eight years and are $36.95. For really hot summer nights, there’s nothing as cool and fresh as a crisp, white cotton nightie. Our pick are these gorgeous uh-oh! nighties. Available with a delicate blue star or pink heart embroidery, uh-oh! nighties will have you dreaming all things frilly and sweet. Find them online at Skeanie uh-oh! for $39.95 in sizes four to twelve years.